1416 Is Your Own Thinking Making It Impossible? You have a purpose and a vision to change the world you touch. But is your own thinking making it impossible? When we get wrapped up in our own thoughts, we typically want to push through faster. And faster isn’t always better. In fact, it can actually slow us down to the point of getting stuck. The excuses cover the path of where you want to go. So much for rose pedals. Stay stuck with your thoughts and make do. It’s quite the beauty. Is your own thinking making it impossible? The stinkin’ thinkin’! One way in with no way out. You keep doing it too. You know the definition of crazy is doing the same thing over and over again expecting different results. Pretty much the answer is YES!!! 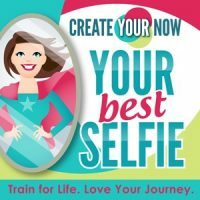 Since God gave me the vision of Create Your Now, my husband has been so supportive and my children have been too. Me, on the other hand? I just get in the way. And not because I’m not taking action. It’s the thoughts that make it impossible. One minute, I’m doing fine. The next, I’m second guessing myself. I listen to my mind and forget to listen to my heart. Then I’m back on track only with the a few days away from repeating the same game. You want to make a change to make a difference? It’s starts with making a choice to break the barrier. The K.I.S.S. ~ Break the barrier! So let’s break the barrier on how you change your mind. Evaluate why you do what you do. Stop just going through the motions. Ask yourself why you are doing what you’re doing. Discover a deeper motivation for what you do. These are your motives. These are like your hidden secrets. They aren’t something you consciously think about when you are in motion. What are my motives for what I have been doing? And what are my motives for what I need to be doing? Create accountability for yourself. Surround yourself with a network of people that support you. You want to choose people who will come beside you in your efforts to change your mind.